Do you have an internship this summer? Over the summer break, thousands of students look for work experience, summer jobs and internships. They help students build up some finances and grow their experience for employment after graduation. For our students, it’s obviously very important that you’re treated fairly whilst on internships. 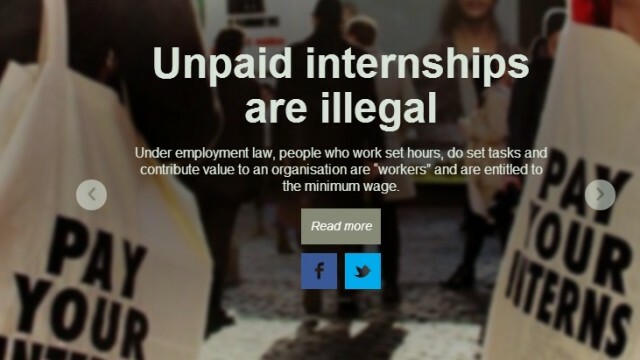 If you’re classed as a worker on an internship, then you are due to be paid the minimum wage by law. SUSU is helping make sure that students get this fair treatment by teaming up with Intern Aware. Intern Aware have so far helped young people claim back nearly £500,000 from employers who didn’t pay them the minimum wage whilst on an internship. Although improving your graduate prospects through internships is important, it’s vital that internships still pay the minimum wage otherwise they are restricted to only those who can afford to work for free – which doesn’t sound very fair. If you’ve been on an internship and weren’t paid the minimum wage – then get in touch with Intern Aware to see if they can help you.